For those of us who follow school choice discussions, the past two weeks have given ample material for conversation, given National School Choice Week, followed by Catholic Schools Week, and the news of the imminent closing of nine Jubilee Catholic Schools with their unique history and mission in Memphis, Tennessee. During School Choice Week, CSF’s New Hampshire program was part of a happy gathering with 350 people showing up in the middle of an ice storm to celebrate what can happen when parents are empowered with real educational choices for their children. The New Hampshire tax credit program is growing and there is a possibility of education savings accounts (ESAs) in the future. This has uncovered parental demand for more options, and in response, the Catholic Superintendent announced they will actually be opening four new schools. The size of the tax credit program to date does not support four new schools, but the change in culture and expectations does. It has become an environment of hope and excitement about what’s possible. During the same week, we heard news of the Jubilee school closings after the 2018-19 school year. These Catholic schools, often called the “Miracle in Memphis,” were reopened in high-poverty neighborhoods in 1999 with the support of a few generous donors to serve families who had very few options. Our Memphis partner, the MOST program, provides partial scholarships to more than 100 children in these schools. 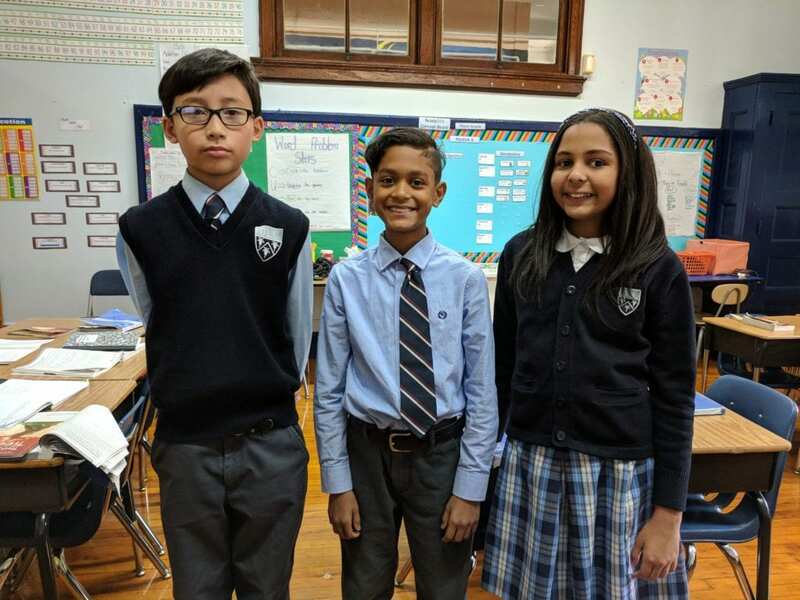 As in many parts of the country, the existence of Catholic schools and other lower cost faith-based and independent schools are an important element of school choice, and they are struggling to survive. Still there is news to celebrate. In some places, private school enrollment is actually growing. For example, in Florida, thanks in large part to the state’s tax credit scholarship program, private school enrollment grew by 6.5 percent in the 2016-17 school year. Nationwide, more than 460,000 students participate in choice programs in 26 states and the District of Columbia. Privately-funded scholarship programs like CSF and its partners around the nation help thousands more children, and often lead to publicly-funded school choice programs. For each of those children, a scholarship or other choice mechanism is a lifeline to a better future, and we know from experience that each scholarship is also important for the viability of the schools these kids attend. Good things are happening apart from places that have school choice, as well, as innovation and attention focused on excellence and enrollment are having a real impact on school viability. Critics say the current Catholic school model, and indeed the model being used by many other tuition-based schools, is not sustainable – or that it can only be sustained through publicly-funded choice. Yet parents have shown a demand for private schools, and outcomes for Catholic school graduates in particular, from higher graduation and college enrollment rates to increased likelihood of voting and volunteering, are positive. To allow more children to benefit from these quality providers, we have to double down on publicly-funded choice efforts and double down on philanthropy in the meantime. Many good and positive things in the world that are supported by philanthropy can be considered unsustainable – because they rely on charity and donors can always choose not to continue supporting a cause and they are, after all, human, so they can’t give perpetually. Shouldn’t the entire Catholic Church be considered unsustainable by that measure? Donor weariness is understandable, so it’s on us as not-for-profits to be innovative in reaching out in new ways to the next generation of donors. I was heartened to hear recently of a campaign in the Catholic space that raised more than $120 million over five years from 35,000 donors with an average gift of $600 a year. Twenty thousand of the donors were new givers. That is exciting and maybe an indication that the Catholic Church and all its good works – including its schools – and the good works of so many other institutions that depend on philanthropy are sustainable. Everyone who believes in school choice and providing quality educational options for disadvantaged families needs to pull together and work on many levels to advance the cause. There are too many children today who are not getting the education they need to reach their full potential and they don’t get to relive their learning years. Every child needs access to a quality education and every school – public, public charter, private, magnet, faith-based, home, or virtual – that effectively teaches children needs to be supported.